North Pole Breakfast is soon to be upon us. The Elf on the Shelf was first introduced to me 4 years ago. I instantly loved the idea (I am a bit mad for Christmas!). Freddie was just 3 when we started the tradition. And not only was it a hit for me he absolutely loved it. We started with just one elf on the shelf. We are currently on 4 elves plus Uncle Si plus a reindeer (Elf Pet)! If you are looking for an elf or wanting to buy some accessories check out my Amazon store for some inspiration. What is a North Pole Breakfast? With the arrival of the Elf for Christmas we have a big celebration called a North Pole Breakfast. This is as close to December 1st as it can be, but normally the weekend before. We normally invite some of Freddie’s friends to enjoy the feast as well. And it is now one of our many Christmas traditions. Now this isn’t going to be the healthiest breakfast in the world. But as Freddie prefers fruit to sweets we try and make ours as healthy as possible! What food to have on a North Pole Breakfast? I normally spend hours baking the night before the North Pole Breakfast. 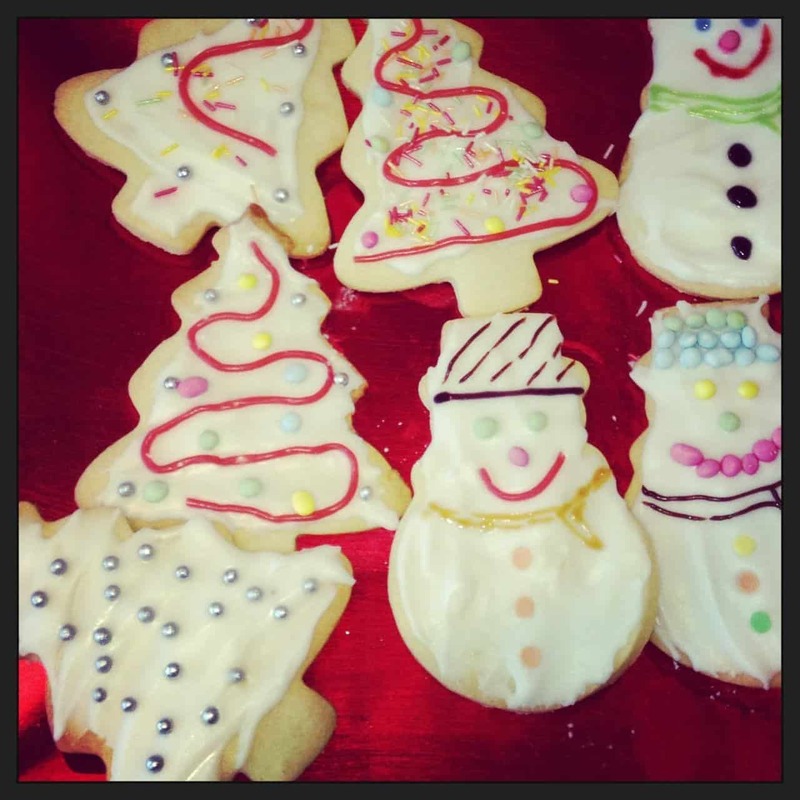 And these Christmas trees and snowmen cookies look great. 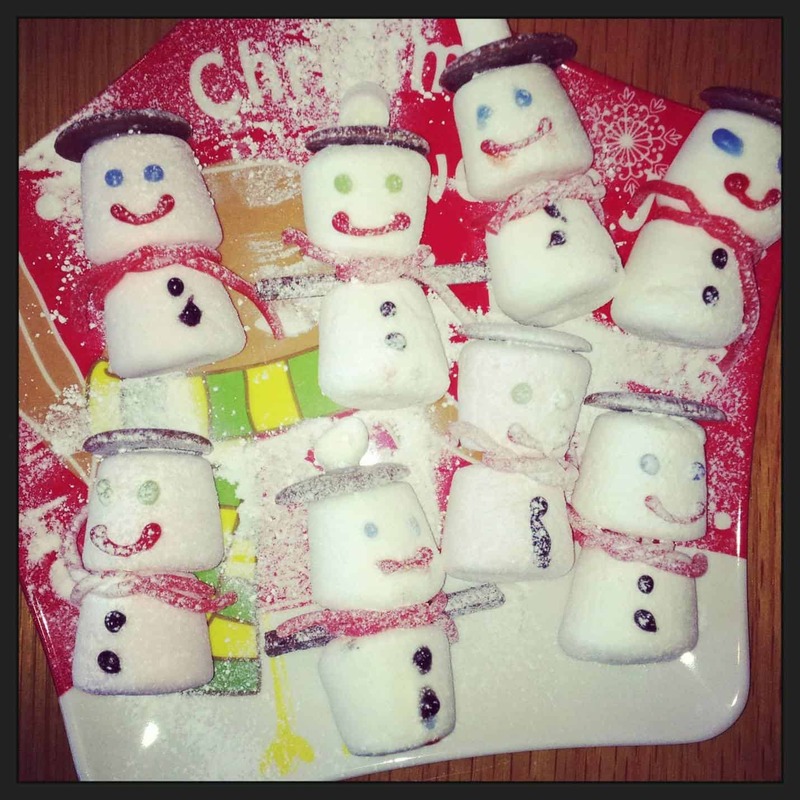 These snowmen marshmallows are easy to make and look amazing. All you need is marshmallows, some small cocktail sticks to stick 2 marshmallows together. A giant chocolate button for their hat and some strawberry laces for the scarves. I buy the pre made colour icing and use this to decorate them further. Also a sprinkling of icing sugar always looks good. 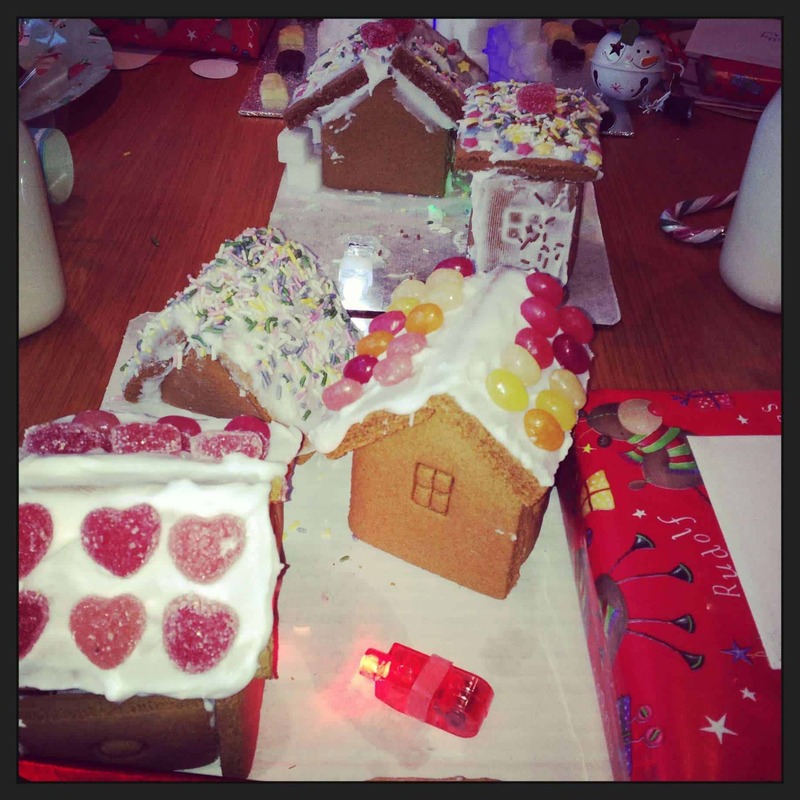 I normally cheat and buy a build your own gingerbread house as I am generally doing this the night before. But of course if you have more time, it would be better to make it from scratch. I put finger lights around the boards and inside the house for an extra wow factor! This is daddy’s job! 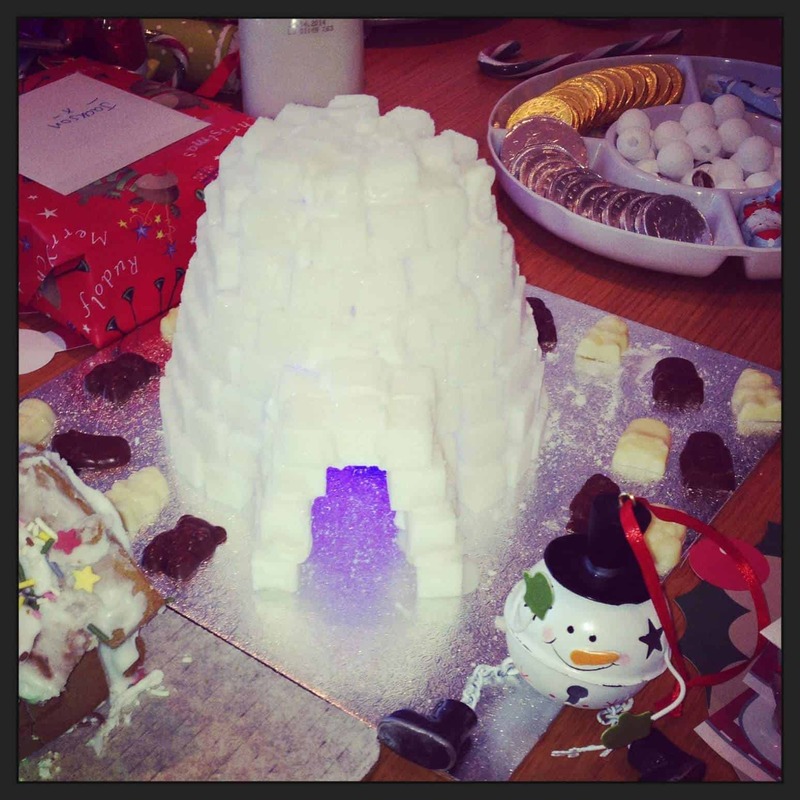 While I am frantically baking Stuart makes this snow igloo! It is fairly easy to make, all you need is sugar cubes and water, but it is fairly time consuming! Again inside we put a finger light inside for dramatic effect. 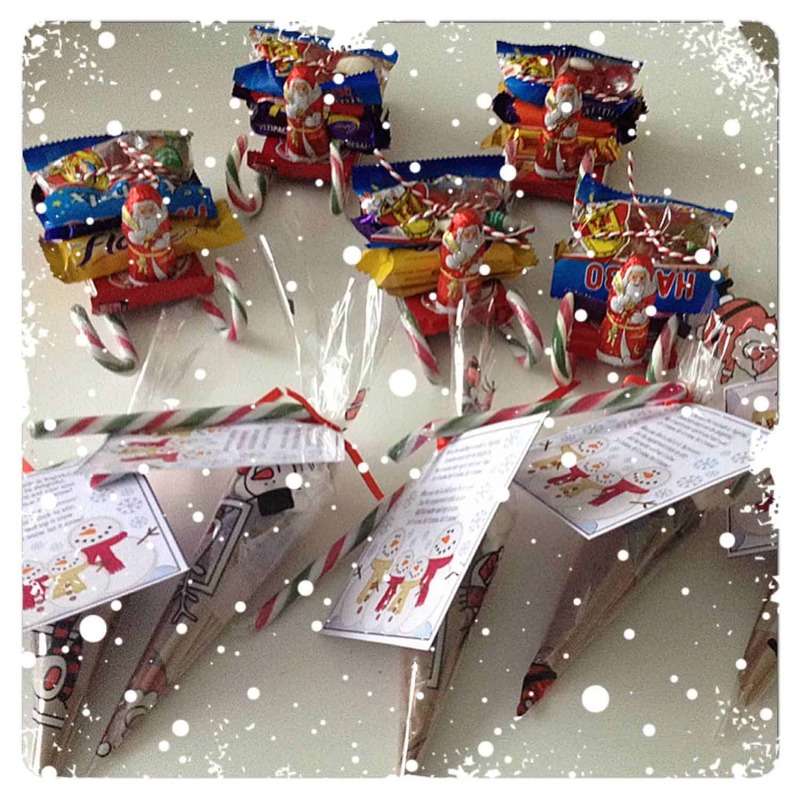 The chocolate Santa sleigh is loads of fun to make. I normally start with a kit-kat, and then stick to candy canes to the bottom. 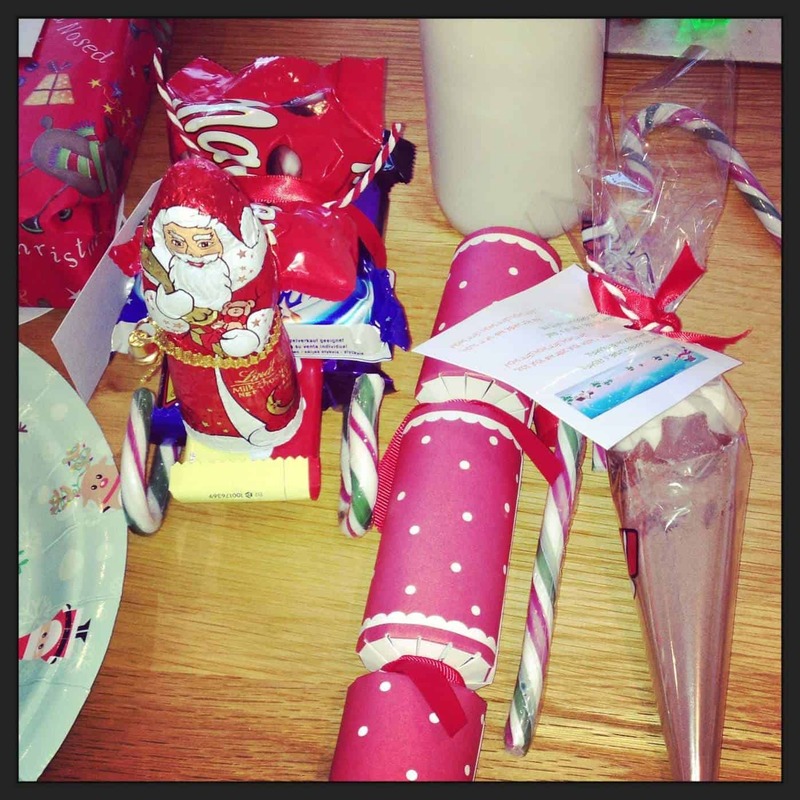 Then I add a small Lindt Santa to the front edge of the kit-kat. I then pile on all of his favourite chocolate bars (use mini ones though!) They are easy to make (although use plenty of glue!) and look amazing. What Healthy Food can I have on a North Pole Breakfast? As Freddie has always actually preferred fruit and savoury food to sweets and chocolate. 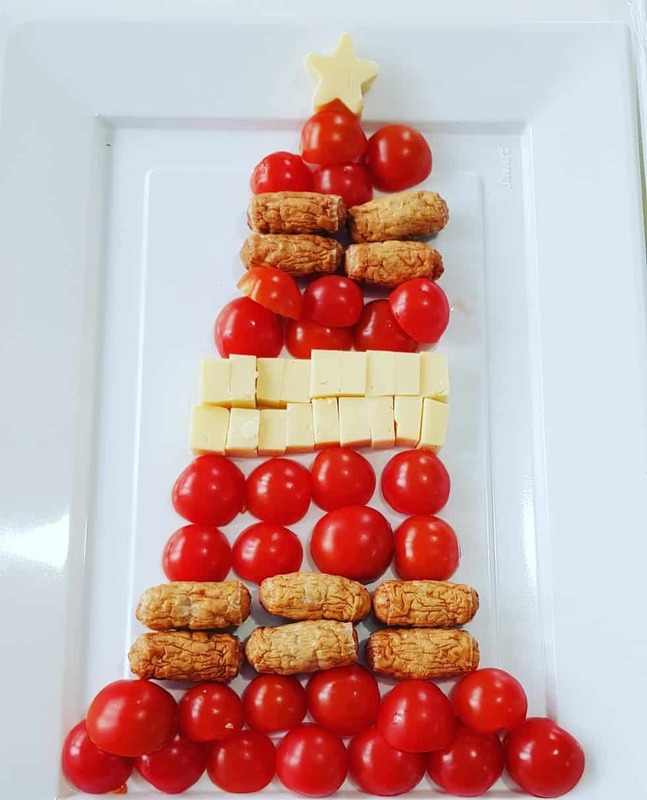 We also created some really easy to make fruit and savoury Christmas tree platters this year. So the star was an apple and the base of the tree was an apple. 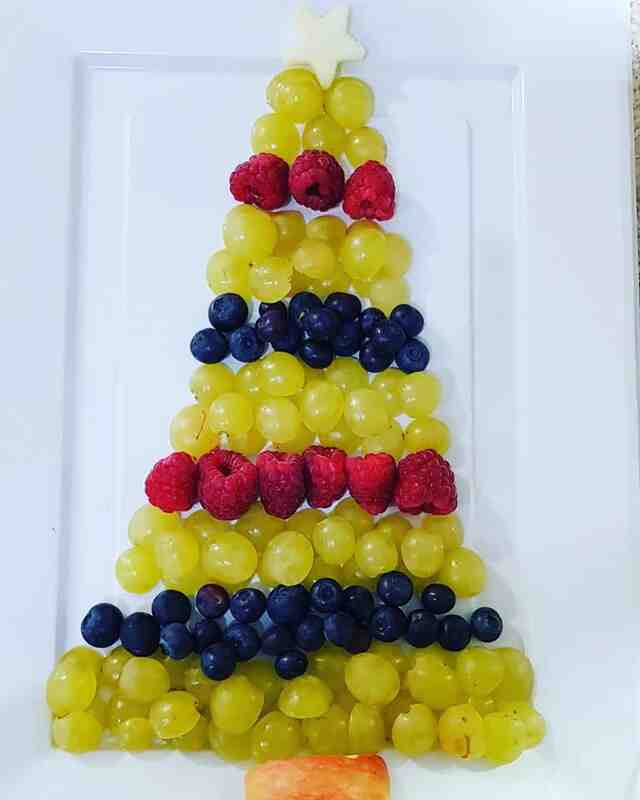 The green of the tree was grapes cut in half, and the decoration was blueberries and raspberries! One of our favourites is these healthy candy canes, all it is is chopped up bananas and strawberries. 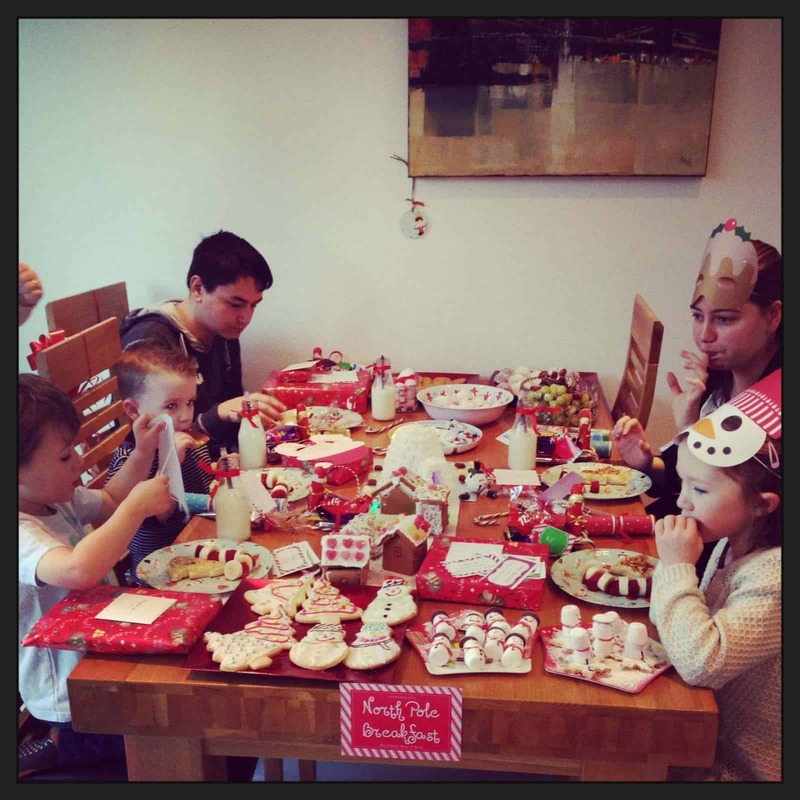 They look really good, and whats even better is the kids love them! 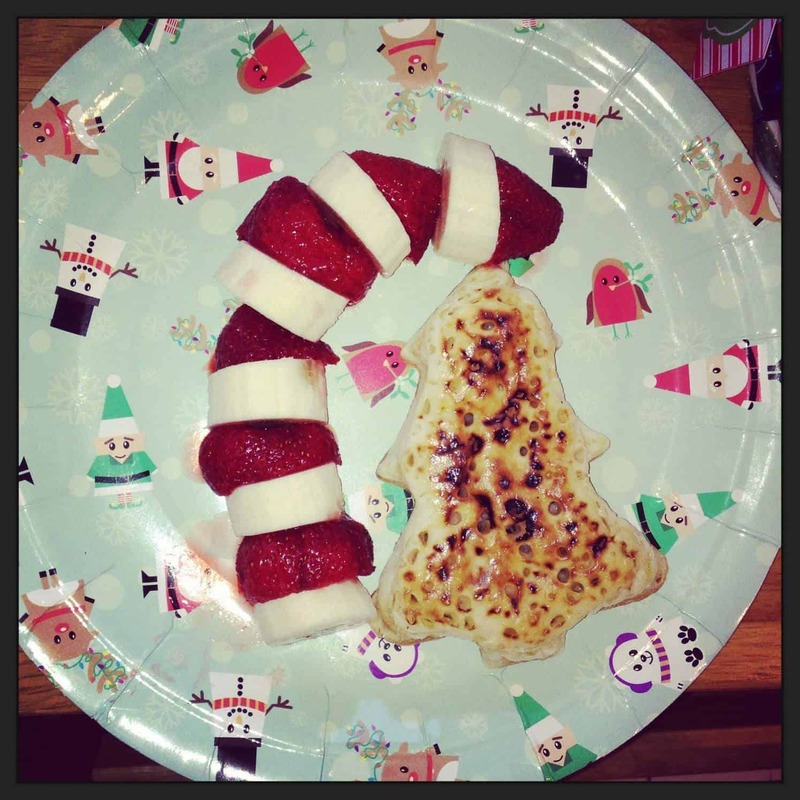 I normally purchase the Asda Christmas tree shaped crumpets to go with our North Pole Breakfast. Or if they are not available I will make toast and cut it into Christmas shapes. The savoury food Christmas platter was tomatoes, cheese and cocktail sausages. The kids just love it, and it is a great way to start the Christmas season. Also it is the start of the Elf on the Shelf. 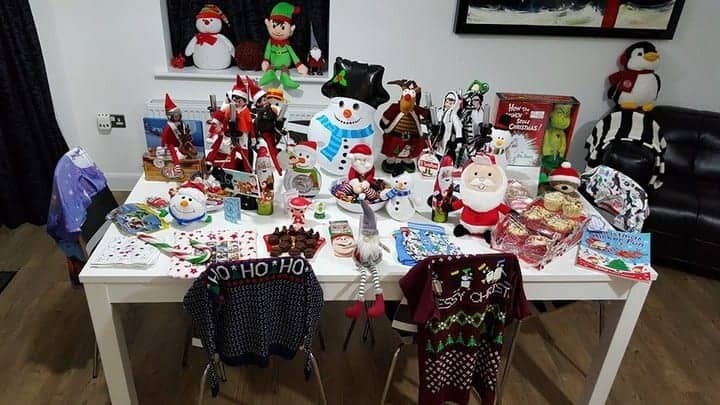 So every day the Elf reports back to Santa on the behaviour! 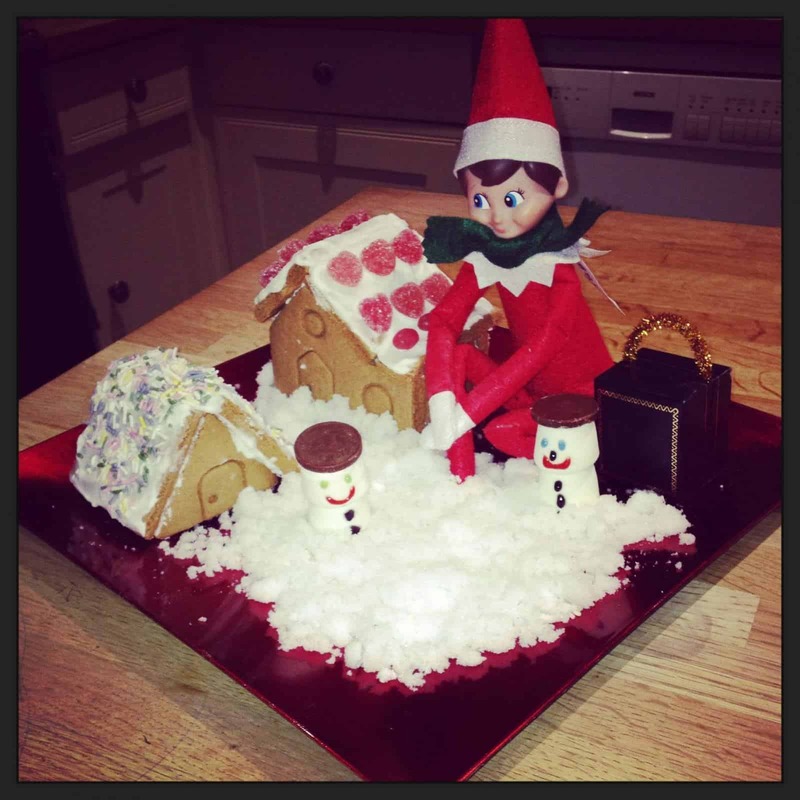 Check out some of our Elf antics. Do you have a North Pole Breakfast? Let me know what you include in the comments below. Timeshares in Orlando are a dime a dozen, so if you’d like to sell Orange Lake timeshare in Orlando, you’re going to need the help of a licensed broker. Timeshares for sale on the secondary market are difficult to sell without a firm specialized in timeshare resale.